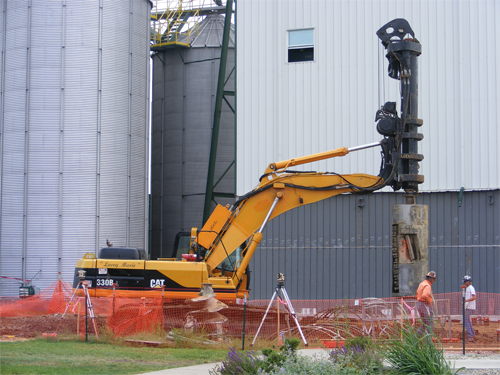 S & W Foundation Repair has the equipment and the talent you need to deploy your large project. Since 1986, S & W Foundation repair has been the go-to company for the larger projects because we have the experience to tackle the most complex drilled pier projects. We have the capabilities to drill shafts in excess of 10 feet in diameter and more than 100 feet deep, but we can do just about anything you can conceive! Talk to us about your specific needs so we can work out the details together. You won’t find more qualified or experienced drilling professionals. Please contact S&W Foundation Contractors today to discuss your next pier drilling project and how we can make it a success.